At 13 years old, Gladys has watched as her older siblings have ended up as day laborers. Her father abandoned the family when she was little, leaving Gladys to be raised by her mother. They live in a very tiny house in a rural village in the Tawa area. At school, she has been named the most improved student of the year and has maintained her place in position two with over 350/500 marks. Gladys says she wants to buy her mother a nice house someday and only see her working on their farm. It breaks her heart when she sees her mother off to ask their neighbors for work each morning. Over the weekends, Gladys helps her mother with cleaning jobs to bring in more money for the two of them. Gladys knows the value of hard work. She has already seen her work pay off in higher grades, and she craves even more success. Gladys told us the story of one young lady from her village who was able to go to university and studied finance. She loved how this girl’s clothes looked each time she came to the village to visit her family, and that she had presents for everyone at each visit. Inspired by this girl’s example, Gladys hopes to pursue finance as a career path in the future. Gladys knows that her education can change her family’s status, and this drives her to make her dreams. However, she can only get so far without support. She needs a sponsor to help encourage her and remind her that she can make it, as well as financial support to help her with her education fees, school supplies and personal utilities to stay in school. 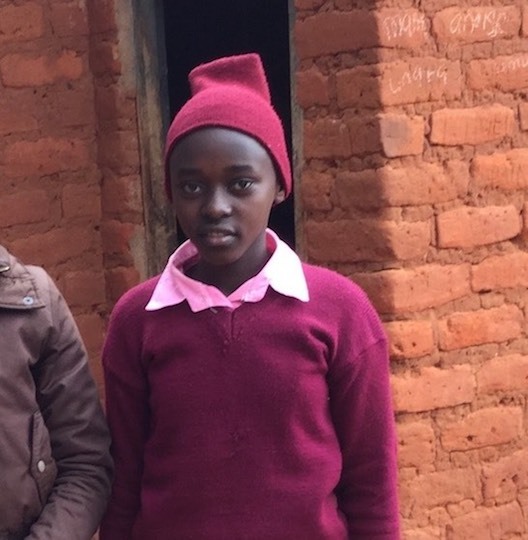 Help guide Gladys through her school years by sponsoring her today!